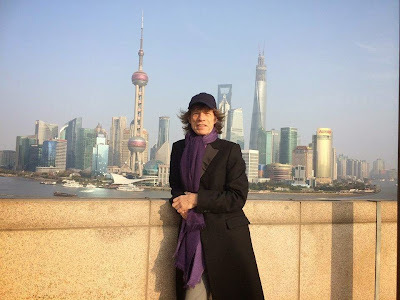 The Rolling Stones brought their 14 On Fire tour to the Mercedes Benz Arena in Shanghai on Wednesday, and video from the show is available. The sold-out date included the fan-voted “Street Fighting Man”, and a performance of “You Can’t Always Get What You Want” with the Dulwich International Singers. The Stones will perform the final date of their Asian run this Saturday in Singapore before playing shows in Australia and New Zealand. This week, the band announced the first two appearances of a European tour this spring. The Stones will headline the Pinkpop Festival in Holland on June 7 and the TW Classic Festival in Belgium on June 28 as part of their 14 On Fire tour. Tickets for both festivals go on sale this Saturday, March 15 at 10am local time. The band will be playing more major shows in Europe in May and June, and these will be announced over the next two weeks.